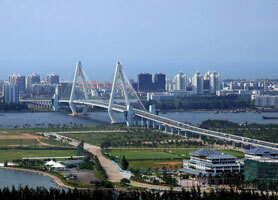 Located in the north of Hainan Island, Haikou is the capital city of Hainan Island. 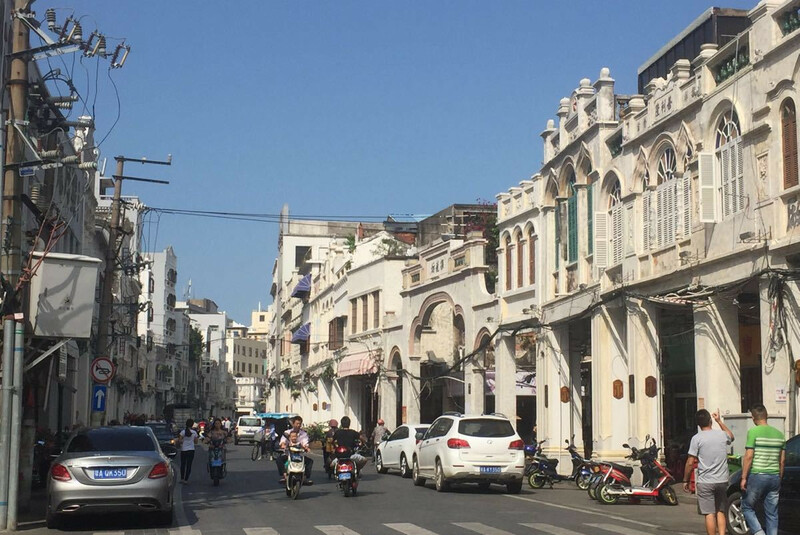 Haikou is less tourist compared with Sanya in the southern part of Hainan Island as Haikou has always be the local life center for local Hainan people for the best shopping, dining, and education. While Sanya is newly developed with more beach hotels, tropical rainforests and culture parks. We would recommend a day tour in Haikou with the following places of interest so to have a glimpse of Haikou’s history and local life. The Temple of Five Lords (Five Officials’ Temple or Wugong Ci in Chinese), is located in the center of Haikou on Haifu Road, and were originally constructed during the reign of Emperor Wanli in the Ming Dynasty (1368-1644). After many years of renovation and development, the existing Temple of Five Lords is now an attractive ancient architectural complex with the Five Lords Ancestral Hall, the Sugong Memorial Temple, Hairui and Fubo memorial temples, Guanjia Tang (Watching Crop Hall) and Xuepu Tang (Studying Hall), all about the history of the island. Haikou Old Street is always the center of Haikou life even till now. Haikou Qilou Old Street, also called Chinese arcade houses, form the Haikou’s most exotic landscapes. The arcade architecture was introduced into Haikou by Local Hainanese The Hainanese from South East Asia who made fortunes returned home in 1920-1940s . It is an old tradition for Chinese to build their home even if they don’t stay in the house anymore. Located in the west of Haikou city, about 30 minutes driving from downtown Haikou, Hainan Volcano Park is China’s first volcano-themed national geo-park. The volcano-themed park boasts the sites of more than 40 volcanoes and 30 volcanic caves. With rich volcanic resources such as beautiful volcanoes, magic karts caves, as well as perfect ecology, pleasant climate, sweet spring water, fresh air and etc, Hainan Volcano Park is a good place worth visit during your stay in Haikou. 9am pick up from your hotel in Haikou, then visit the Hainan Volcano Park first, lunch at the volcano park, or drive back to downtown, then visit Wugong Temple and finish the tour at Qilou Old Street. There is a teahouse at the Qilou Old Street for all kinds of Hainan local food at local prices. The Hainan Volcano Park needs quite some climbing, so not good for the senior citizens with knees problems. Private tour costs CNY298/person with entrance fee to the above three attractions, private transportation with Chinese speaking driver. Tour guide service costs CNY800/day by a professional English speaking tour guide. Answer: It is a private tour, so you decide what time to start. Normally we recommend 9am. Answer: We accept credit card with 3% surcharge, paypal with 3.8% surcharge, bank transfer (no extra charge) , or you can guarantee the booking by your credit card and pay us cash on the departure day. We also accept payment by wechat & alipay. Qustion: Where to have your lunch? Answer: Our driver will recommend you local restaurant. Qustion: How many hours you will take for this tour? Answer: It will take around 8 hours.